All soaps are not created equal! That’s why Ambre Blends created Pure Olive Oil Soap to leave your skin feeling silky and clean. Our Pure Olive Oil Soap is a healthy, rejuvenating bar that is high in antioxidants and packed with natural ingredients that are nutritious for your skin. Although you might associate olive oil with cooking and the kitchen, it has been making its way to skincare and beauty products. And with its naturally nourishing properties, it’s easy to see why! Olive oil has been used as a moisturizer for centuries. It penetrates deep into the skin without clogging your pores. Since it is derived from nature, it is free of artificial ingredients. Olive oil helps to relieve your dry skin as well as assist in treating rashes, psoriasis, eczema and acne. Another ingredient found in our soap is glycerin, a colorless, odorless humectant produced from vegetable oils. Glycerin moisturizes skin by drawing water from the air into the skin’s outer layer. It forms a protective layer locking in that moisture. If you have sensitive skin, glycerin will not irritate it or cause negative reactions like synthetic ingredients would. 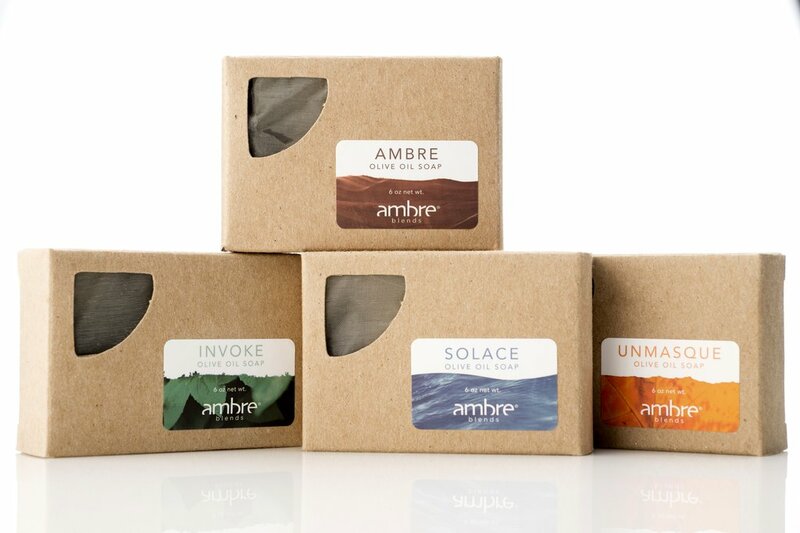 To use Ambre Blends Olive Oil Soap, thoroughly work the soap in your hands to form a rich, full lather. Use on your body and face as part of your daily wash. Afterwards, your smooth and hydrated skin will emanate a sensual and alluring aroma of the essence of your choice! Did you know you can also use our Pure Olive Oil Soap as a moisturizing shave bar? Create a silky lather upon which your razor’s harsh effects are mitigated and replaced with a hydrating, smooth and pleasurable shaving experience that won’t leave any residue behind.